Jeff took the helm at Resolute in Fall 2010, and brought with him over 20 years of experience as a coach and athlete, as well as an extensive background in carbon fiber manufacturing. 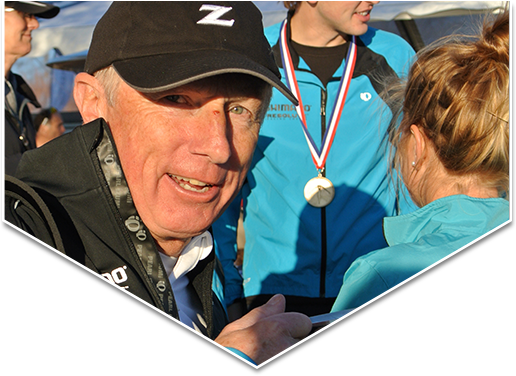 A regular Masters 1X competitor, he has participated in 14 Head of the Charles regattas, is a Level III certified coach, and is VP of Quinsigamond Rowing Association. Jeff’s athletic career started with soccer, lacrosse and skiing at The Choate School. While at Middlebury College, he played varsity soccer and was Captain of the varsity lacrosse team. Jeff served as a Captain in the US Army, Armor Branch. He went on to pursue a JD at the University of Louisville and an MBA at the Olin School at Babson College. Between duties as Resolute’s President and sales executive for the Northeast region, Jeff enjoys rowing and soccer, is a USSA Alpine Level 100 Ski Race Coach, and leads the Resolute ski racing team.